Cambium Networks 450 platform increases performance with the addition of the 450b Subscriber and Backhaul Module. 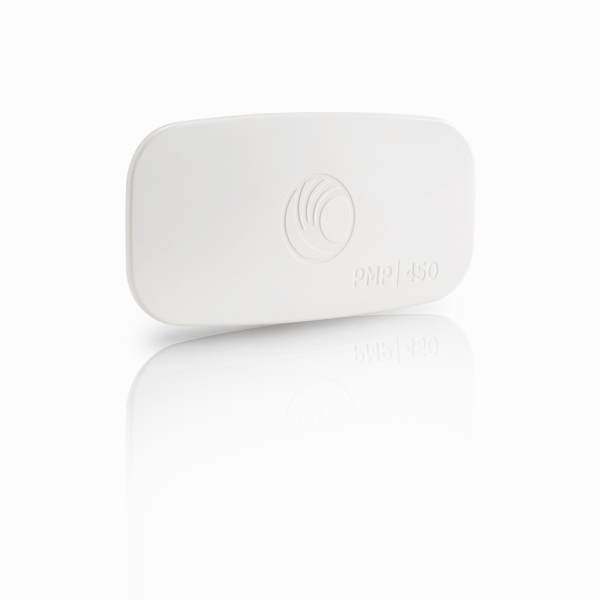 The PTP 450b supports up to 300 Mbps in a 40 MHz channel. Frequency range is 4.9 – 5.925 GHz. • Ultra-wide band radios support the entire band, from 4.9 to 5.925 GHz. • Gigabit Ethernet Interface provides the maximum transfer rates to the device. • 3.5 mm audio jack allows direct connection of headphones without any adapters. • New System on a Chip (SoC) enhances Packet Processing Power more than 4x that of the 450 SM. • Capable of up to 300 Mbps aggregate in a 40 MHz channel. • Backhaul radios can function as a Point-to-Point (PTP) link or as a Subscriber Module (SM).